Royal Boskalis Westminster has announced that it has sold off all of its remaining shares in offshore firm Fugro. The move follows on from two previous reductions in its stake in Fugro in December 2016. The shares were placed with institutional investors at EUR14.5 ($15.4) per share. The bookbuild commenced on 28 February 2017 after closing of Euronext Amsterdam. 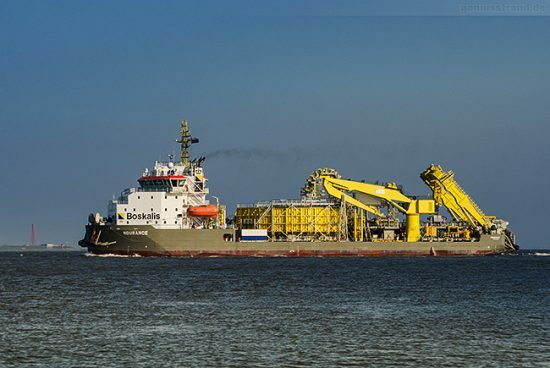 Boskalis was once the largest shareholder of Fugro, however the two companies have been involved in a legal battle which saw Boskalis try to force a shareholder vote in regard to one of Fugro’s three protective measures, the Foundation Continuity Fugro. Both the District Court of The Hague and later the Court of Appeal in The Hague, ruled in favour of Fugro.